Fantasy book The Lion, the Witch and the Wardrobe is to be made into a movie, filmed in New Zealand. Shrek co-director Andrew Adamson will adapt the classic CS Lewis story, said New Zealand's Industry Development Minister Jim Anderton. 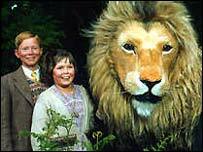 The £62m film is expected to be the first of five films based on the seven Chronicles of Narnia books. With production due to begin next year, it follows the Lord of the Rings film trilogy, also shot in New Zealand. "We are extremely happy and excited to be starting work on the film in New Zealand," Adamson told Wellington's Dominion Post Newspaper. Work on the Chronicles has already started at New Zealand director Peter Jackson's Weta Workshop in the capital, Wellington, which produced many of the special effects for the Rings trilogy. Mr Anderton said it was "a vote of confidence in our country as a location for film and screen production". He added: "This is very positive news because it means more opportunities for New Zealanders to learn new skills and find employment in an exciting and creative industry." The production of The Lion, the Witch and The Wardrobe is expected to qualify for expense grants under a government scheme, under which production companies can receive up to 12.5% of their total costs back. 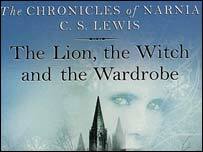 The Chronicles of Narnia series has sold more than 60 million copies worldwide. The Lion, The Witch and The Wardrobe was published in 1950 and is the second and best-known novel in the seven-part Narnia series. The set of novels includes The Magician's Nephew, The Horse and His Boy, Prince Caspian,The Voyage of the Dawn Treader, The Silver Chair The Last Battle. The books have been adapted for stage many times and in 1988 the BBC produced a TV version.